Not only does the month of May host many important holidays including Mother’s Day and Memorial Day, but it is also Disability Insurance Awareness Month. Even though disability isn’t a pleasant topic, it’s unfortunately a very real issue — one that everyone should be aware of. The truth is, a disability can happen to anyone. According to the World Health Organization (WHO), over 1 billion people, which makes up 15% of the world’s population, have some form of disability. Of course, most of us think that a disabling illness or injury will never happen to us. This is very apparent in a recent survey conducted by the Council for Disability Awareness. The study found that 9 out of 10 individuals underestimate their own chances of becoming disabled. However, according to the following ten statistics, those 9 out of ten individuals couldn’t be more wrong. One in three working Americans will become disabled for 90 days or more before age 65. Medical problems contributed to 62% of all personal bankruptcies filed in the U.S.
About 1 in 4 of today’s 20 year-olds will become disabled before they retire. One in 8 workers will become disabled for five years or more during their lifetime. As of 2013, 8.8 million Americans were disabled. Around 64% of Americans believe their chances of becoming disabled are much lower than the actual odds. Almost all disabilities (90%) are caused by illness, not accidents. If you’re like most, you may find these statistics frightening. And as a physician, you may be at an even higher risk for some disabilities. Physicians tend to have higher rates of musculoskeletal disorders and mental conditions. Plus, practicing medicine requires physicians to take higher on-the-job risks than some other professionals take. So what would happen if you became disabled and were unable to work for a long period of time? For many, not having income to maintain their standard of living leaves a major financial gap in their future. Thus, having a financial vehicle to offset the costs of disability is crucial. Disability insurance protects your income by providing the perfect parachute to safeguard your finances. 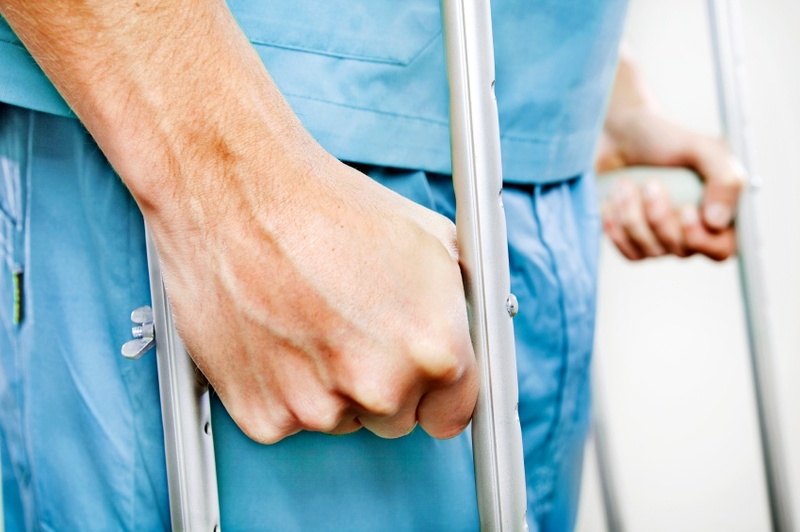 If you become sick or injured, disability insurance will pay a portion of your regular income. There are two types of disability insurance, short-term and long-term, and both are very important to have, below you will see the differences between coverages. Short-term disability Insurance - Provides coverage for up to two years and is best served for those that only need income support for a short period of time. Long-term Disability Insurance - Provides coverage for an extended amount of time and will typically last until age 65 to 70. Many physicians consider both short-term and long-term disability insurance coverage. For a small injury or surgery, short-term disability insurance can help keep your finances protected until you can get back to your practice. And when it comes to a larger injury or medical condition, long-term disability will cover you if your disability keeps you from practicing. Contact us today to protect your financial future. We’ll partner you with an experienced advisor who can help you determine what type coverage is right for you and your family and answer any questions you may have.